At the park entrance, almost at the top of a hill, an ancient country cottage has been totally restored respecting the local traditional architectural style and the beautiful surrounding environment. 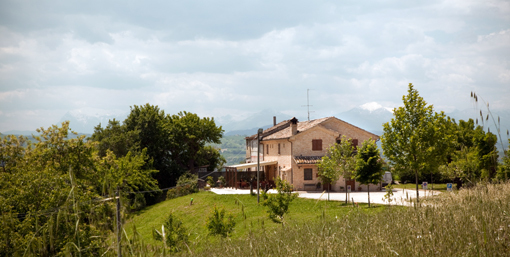 The building hosts the Visitor Centre, the Park Shop and the Stagnatella (literally, a tin plated cauldron), a pretty farmhouse which offers pleasant stays with the characteristic cordiality and generous hospitality of the Marche, as well as specialities of the local traditional cuisine. 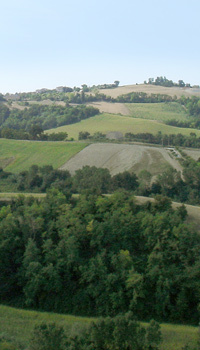 Immersed in the green, hidden from sight, away from the roads and the noisy cities, surrounded by simple and sincere things of the Marche countryside, La Stagnatella is an ideal place for a complete physical and mental regeneration. 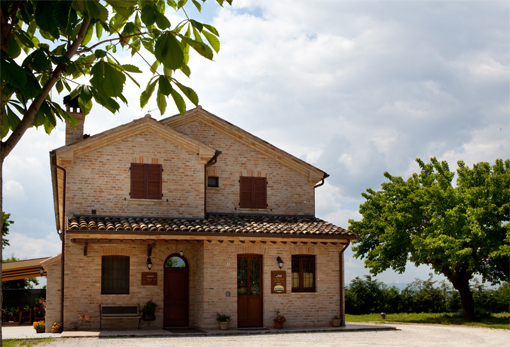 The farmhouse and its neighbourhood enjoy light and sun all day long; still in the summertime the place is fresh and airy. Surrounded by the sounds and fragrances of nature, it offers every season unique landscapes, wide and bright, in an enchanting atmosphere. The slow alternating of seasons, paces the time of farm and its park, thus giving this place the fascination of variety and natural renewal. Every time of the year has its peculiar beauty, therefore coming back to the Galeano Park is a new experience every time. Nature paces every aspect of life, here: the work in the farm, in the fields and the park maintenance. The variety of the cuisine also depends strictly upon the seasonal products, grown in the kitchen garden beside the farm. 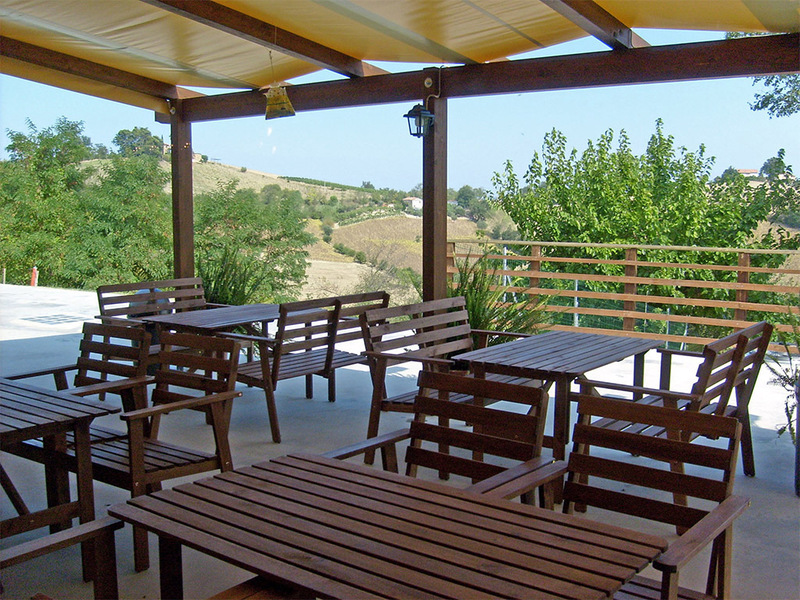 In summer you can also have your meals outside and enjoy the blue sky and a clean, fresh air, full of fragrances. 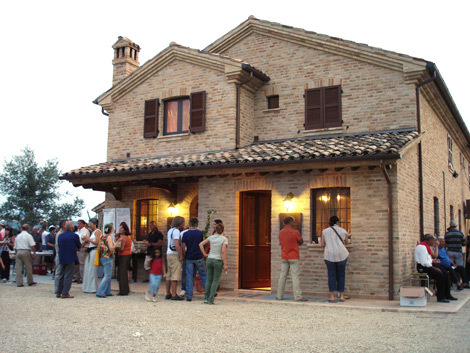 Throughout the rest of the year, you can spend your convivial moments by the crackling of the fireplace, in the romantic atmosphere of the farmhouse with its brick walls and wooden ceilings.